It ain't easy to keep secrets hidden on the internet, but the long-rumored, full-length rap track featuring LeBron James and Kevin Durant hadn't been available for public consumption until now. The song, which primarily focuses on the two former MVPs rapping about making it from humble beginnings to the NBA, came about when Durant, then a member of the Oklahoma City Thunder, and James, then a member of the Miami Heat, were just fooling around in a recording studio in Ohio. 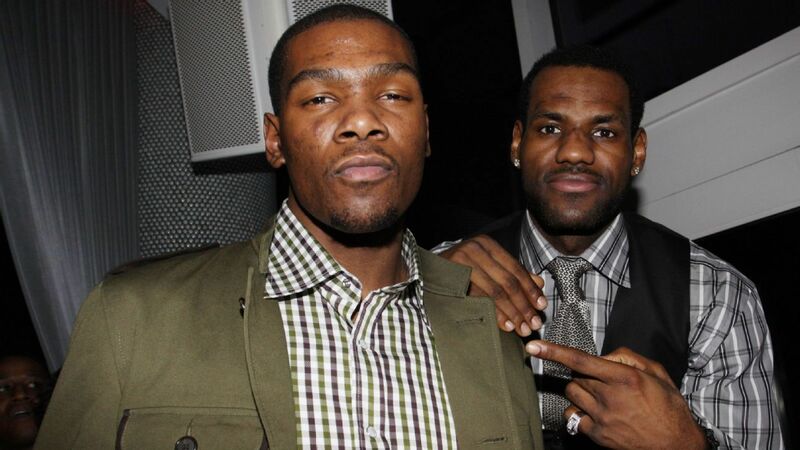 "LeBron James and Kevin Durant came up [to the studio] cause it was during the lockout," Franky Wahoo, real name Franky Stewart, told Noisey.